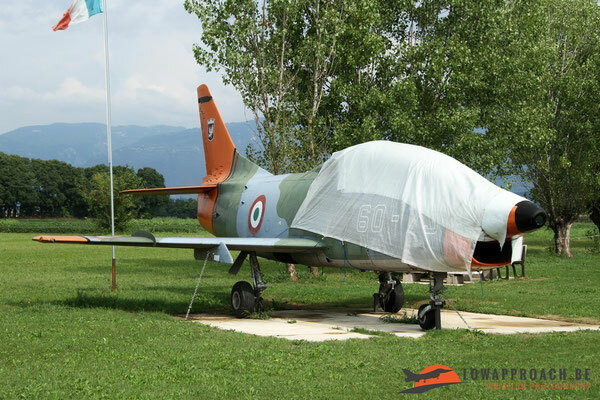 In 2014 and 2015 I had the possibility to visit Italy on three occasions and each time I took the opportunity to start looking for some preserved aircraft in the area that I visited. The first visit was in and around Rome and the second and third visit was in Northern Italy. 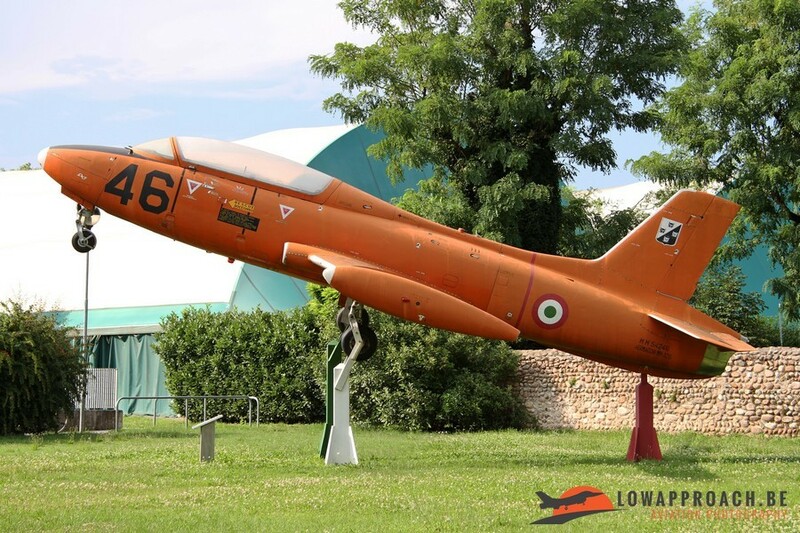 While preparing the trips I was quite surprised by the sheer volume of aircraft that are preserved in public areas,which illustrates clearly that Italy and certainly the Italians are very proud of their aviation heritage. 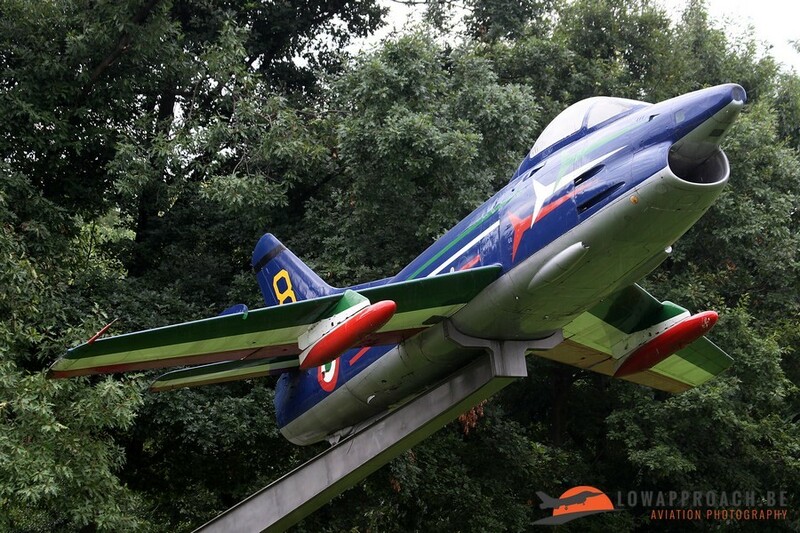 As with everything in aviation let's start with the training aircraft first. 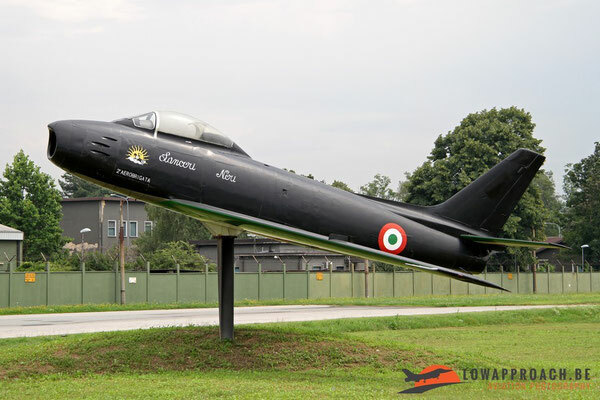 During my trips I came across two North American T6 Texans, that were used by the Aeronautica Militare Italiana in the training role. 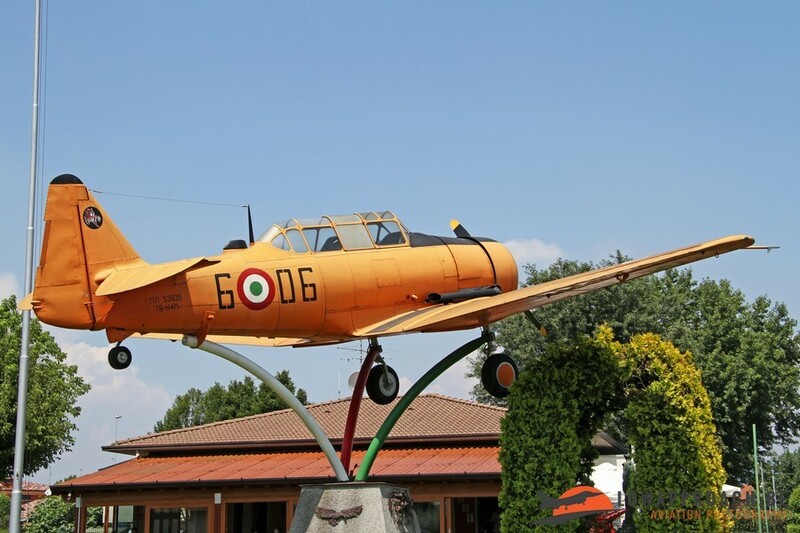 The first one, a T6G-variant, can be found on a square in the town of Quinzani di Oglio, the second one, a T6H, is preserved in the garden next to a pizzeria in Ospitaletto. 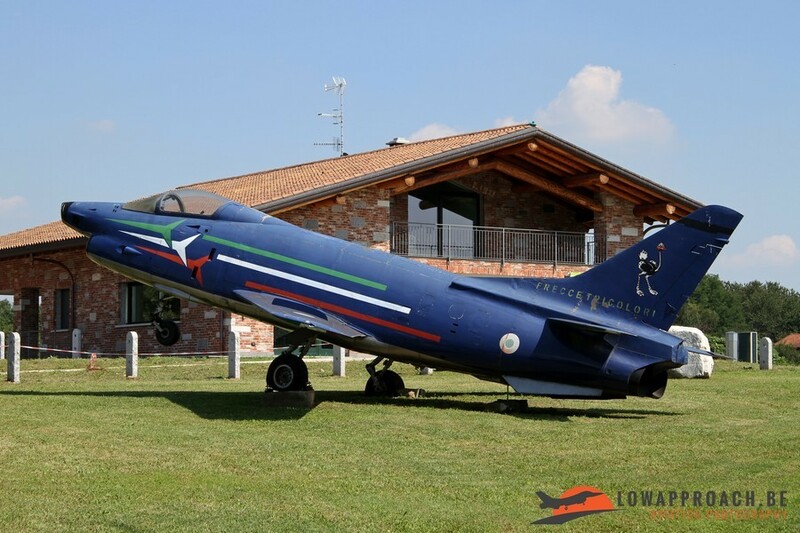 And I must admit not only the aircraft is still in great condition, they also serve great pizza ! 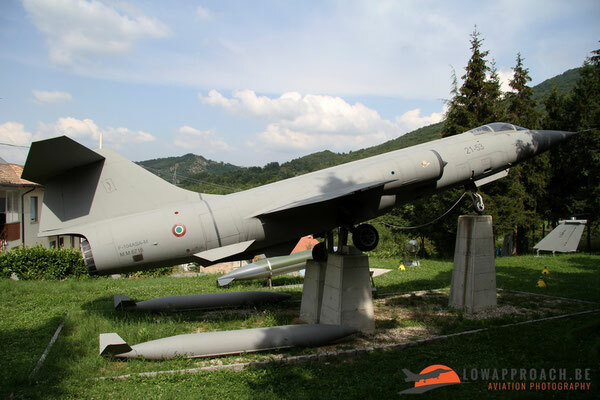 Overall we can say that all the aircraft that I saw are very well maintained, in most cases by local organizations of former Air Force-staff or the inhabitants themselves, a clear example that the fact that the aircraft is there is appreciated by the majority of the locals. 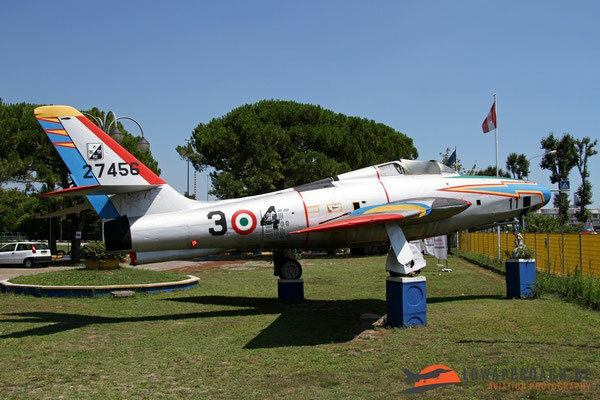 Second aircraft type on the list is the Aermacchi MB326. I managed to find 5 examples during my trips, 4 of them training aircraft used for advanced training, until they were replaced the Aermacchi MB339, best known by its use by the Frecce Tricolori demonstration team of the Italian Air Force. 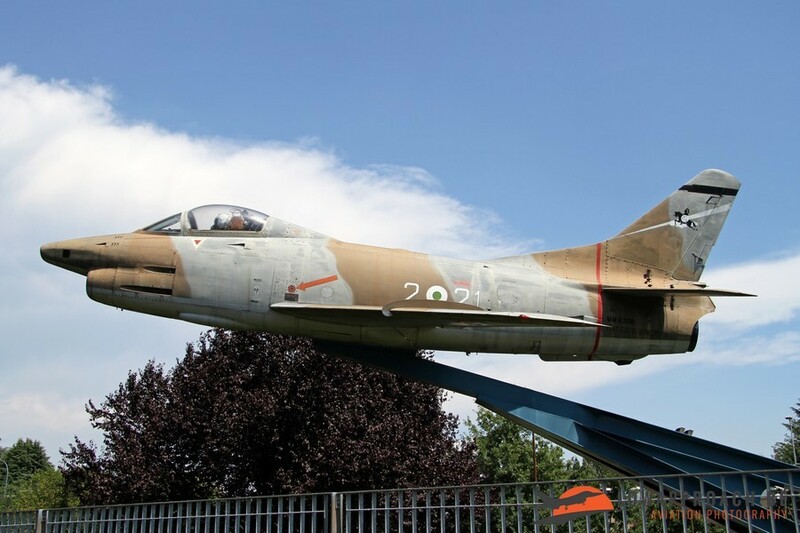 The 5th aircraft is a bit a special case, it's a single seater MB326K ground attack variant. 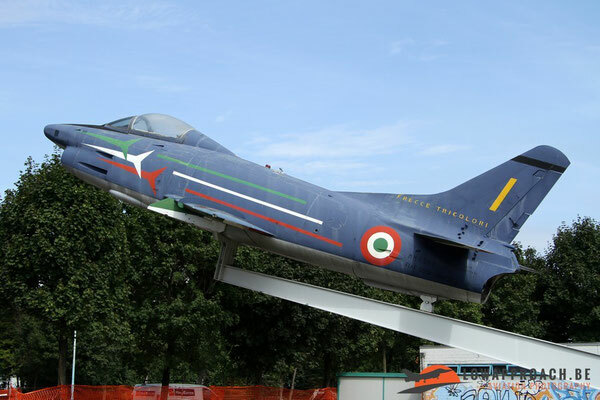 This particular aircraft was used by Aermacchi as a demonstrator for many years. 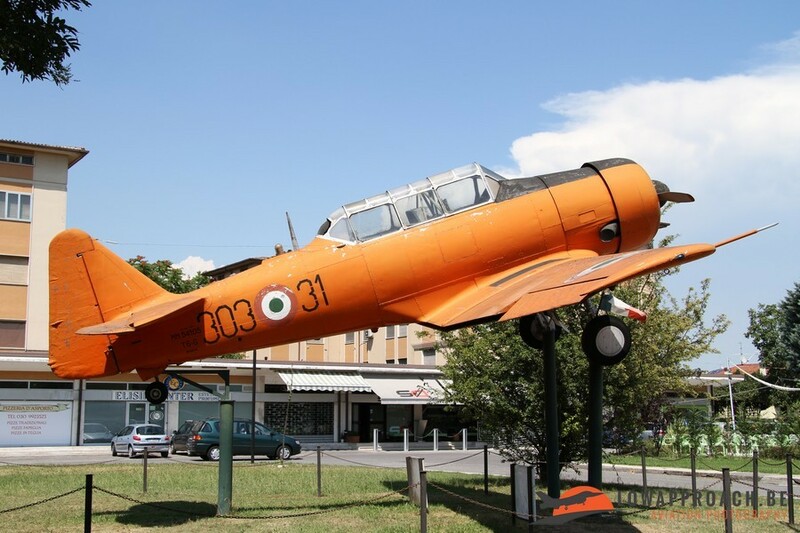 These aircraft can be found in the town of Vercelli, Buguggiate, Roverbella, Tradate and Zagarola respectively. 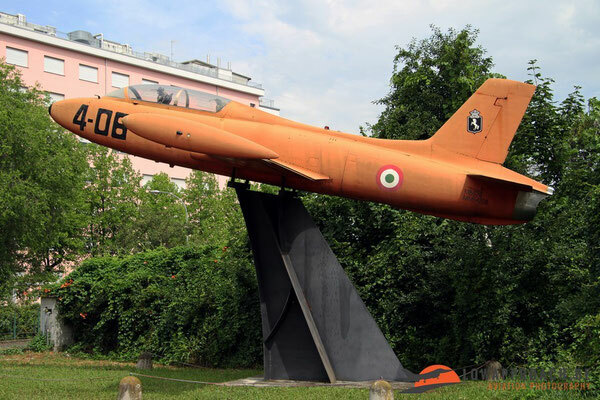 The last training aircraft that I found was a Lockheed T33A T-Bird which is located in the town of Rezzato. 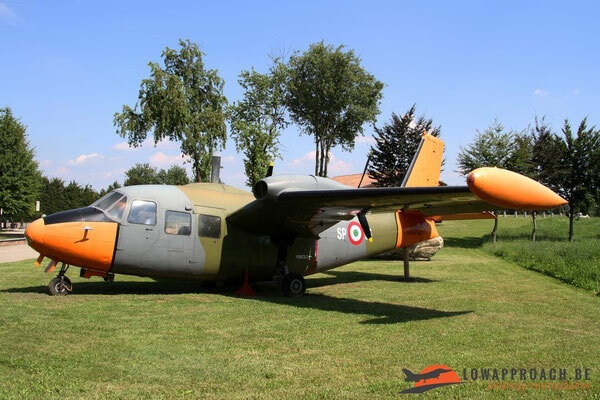 The next one on the list is the Fiat-Dornier G91, that can be found in all versions that saw use in the Italian Air Force. 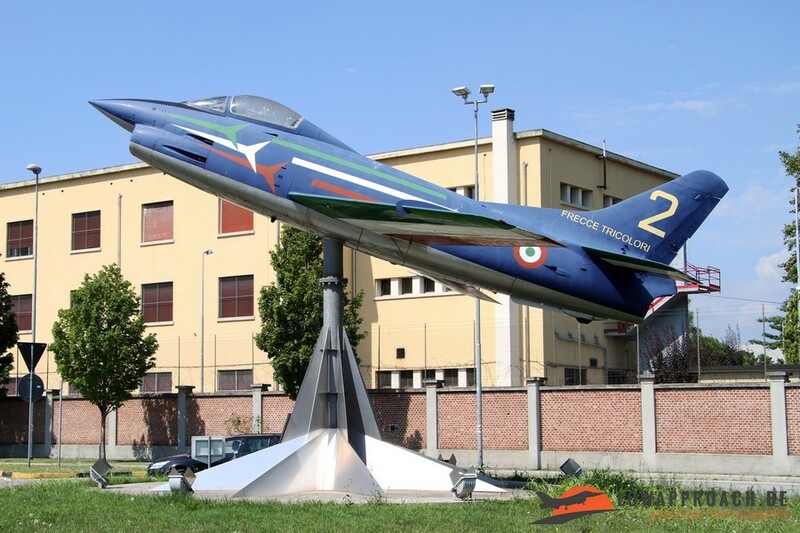 The aircraft is best known for its use by the Frecce Tricolori, before they converted to the MB339, and this is quite clear when you see the amount of aircraft that are now wearing the colorscheme of the demonstration team. 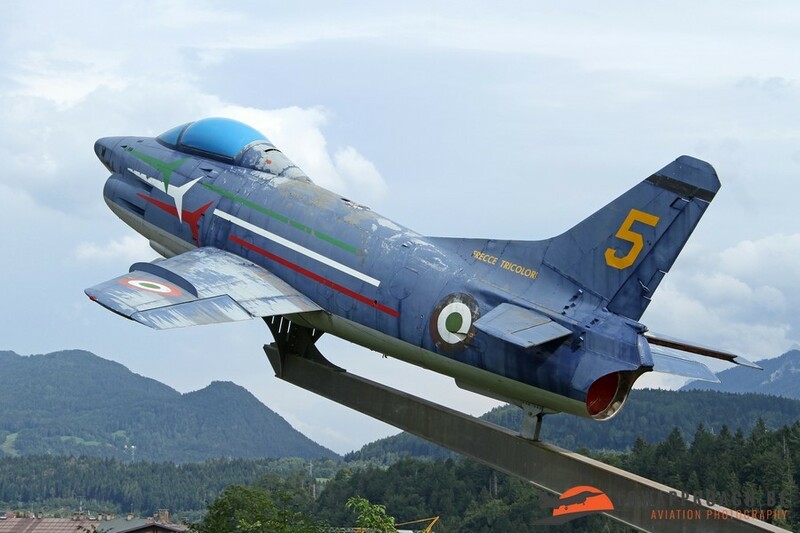 The aircraft shown can be found in the following locations, Cassano Magnano, Trino, Tarvisio, Codroipo, Campoformido and Biella. 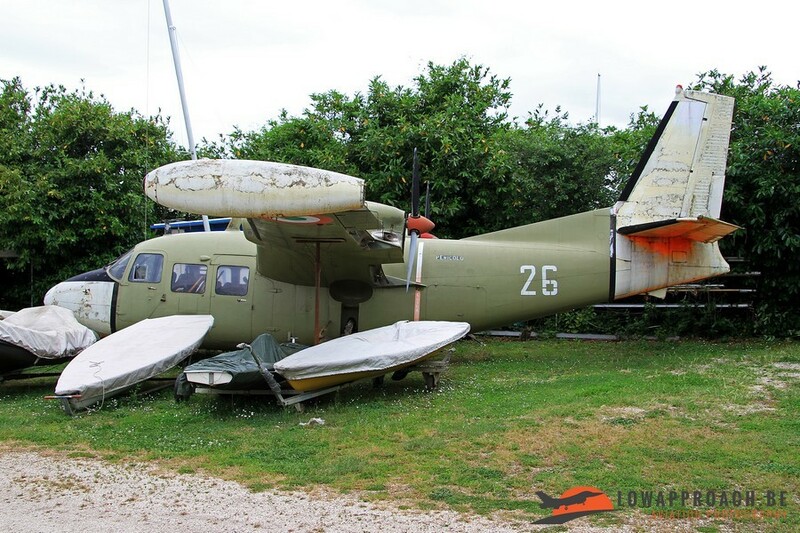 Luckily also some G91s were allowed to keep their operational uniform, including all the G91T double seaters. 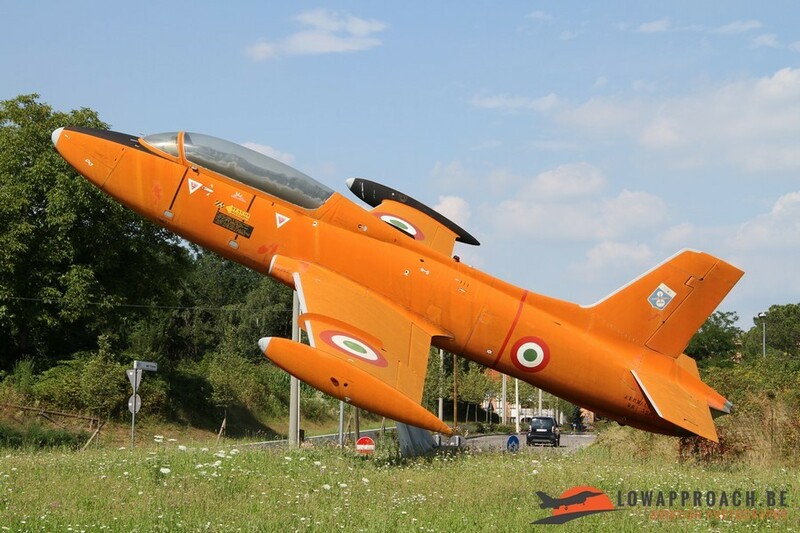 The following aircraft are located in Gaiarine, Manerbio, Germona Del Friuli, Campagnola Emilia, Ca'rainati and Tarquinia respectively. 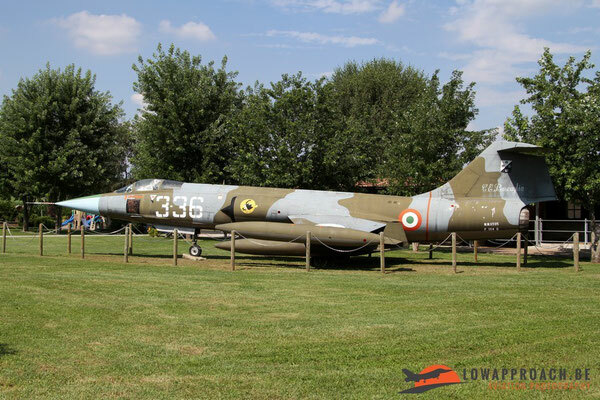 Most numerous aircraft that can be found along the Italian roads and squares, is off course the Lockheed F104 Starfighter. 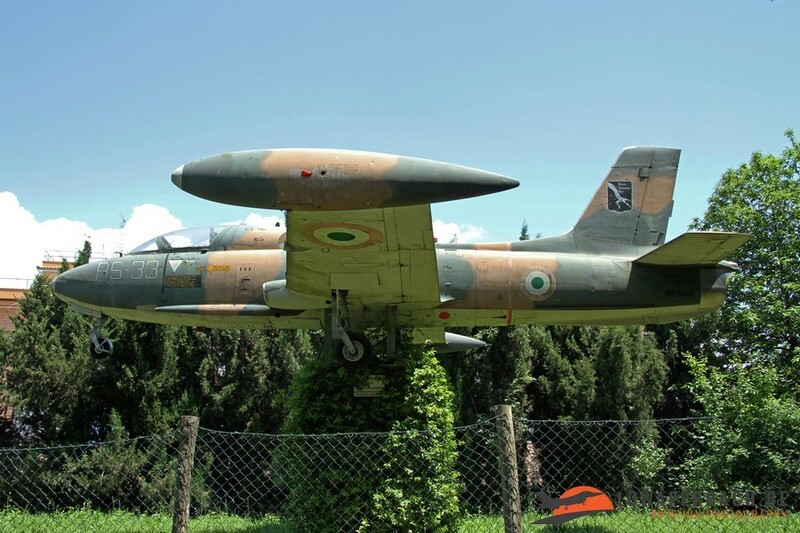 This aircraft was used many years by the Aeronautica Militare Italiana in frontline service until it was replaced by more modern aircraft like the Panavia Tornado and Eurofighter Typhoon. 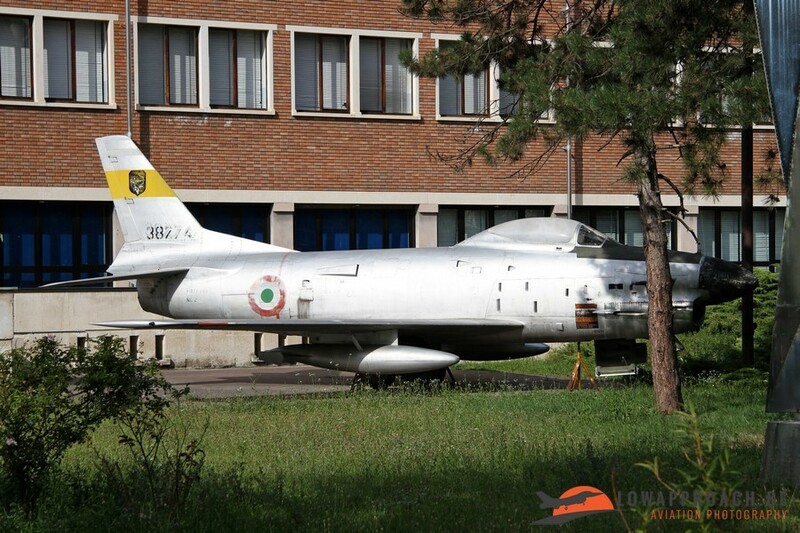 I saw two original G-models, in Istrana and Cassano Magnano. The later F104S-model is the most common one, as it was the last one to be retired. 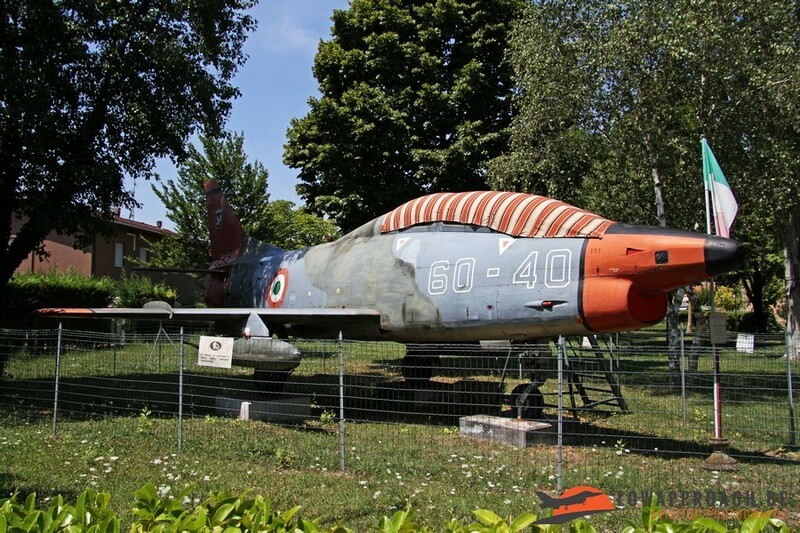 Examples can be found in Cogozzo, Celle di Varzi, Tolmezzo, Erbe, Lasignano Sabbiadoro and Velletri. 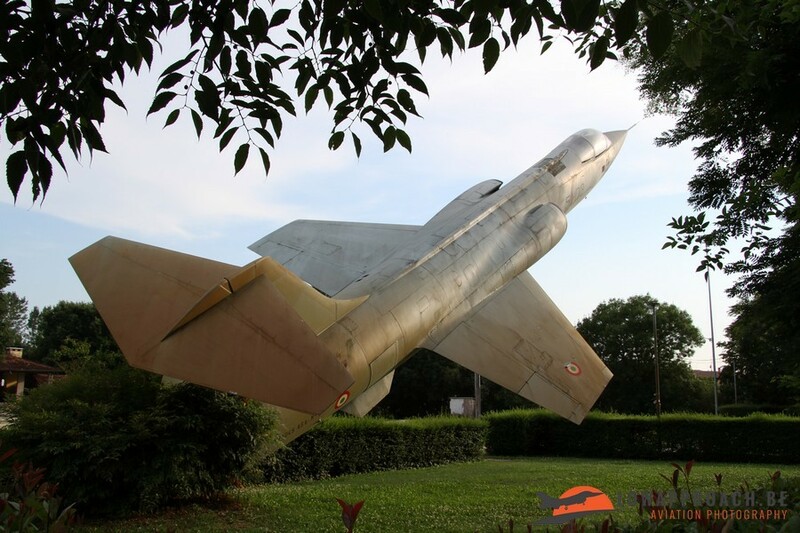 I want to pay some extra attention to one location in particular. 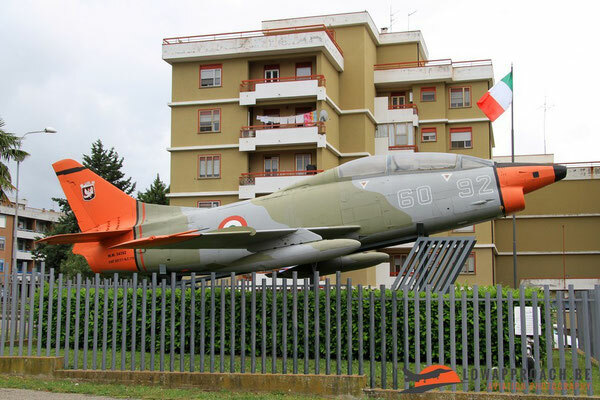 Celli di Varzi can be considered an 'aviation park'. Not only the F104 can be found here, but also restored parts of a C119 Flying Boxcar, Aeritalia-Aermacchi AMX and a Panavia Tornado, this together with several engines. 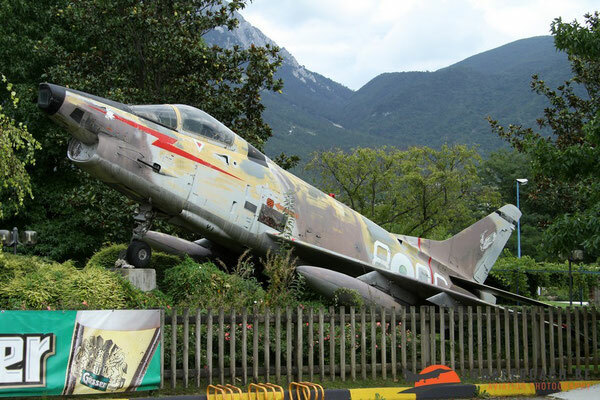 It's located at the entrance of the local graveyard, which is quite high on a mountain, so it was quite an epic drive to get there, but really worth the effort. 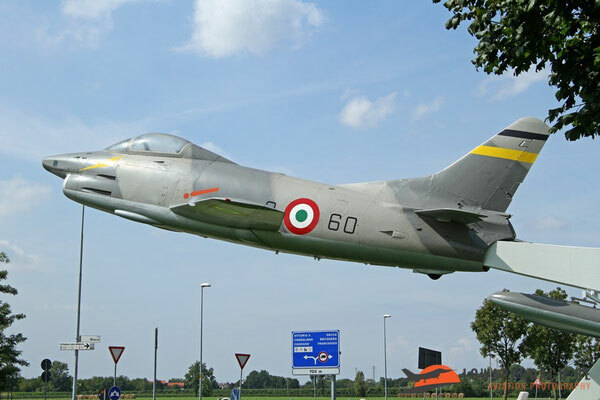 Other types of fast jet fighter aircraft than can be found are the North American F86 Sabre and the Republic RF84F Thunderflash. Not really in large volumes, but the ones that are still remaining, are in very good condition. The first Sabre is a F86K-variant (easily recognized by the radar dome on the nose) and can be found at a school in Alessandria, unfortunately the school was closed for summer holidays, so I had to improvise the shot a little bit. The second Sabre is a Canadair-build CL13 Sabre 4, which is wearing the colorscheme of the 'Lanceri Neri' aerobatic team. 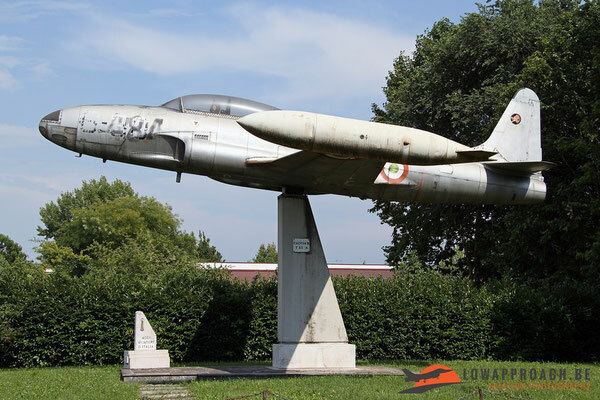 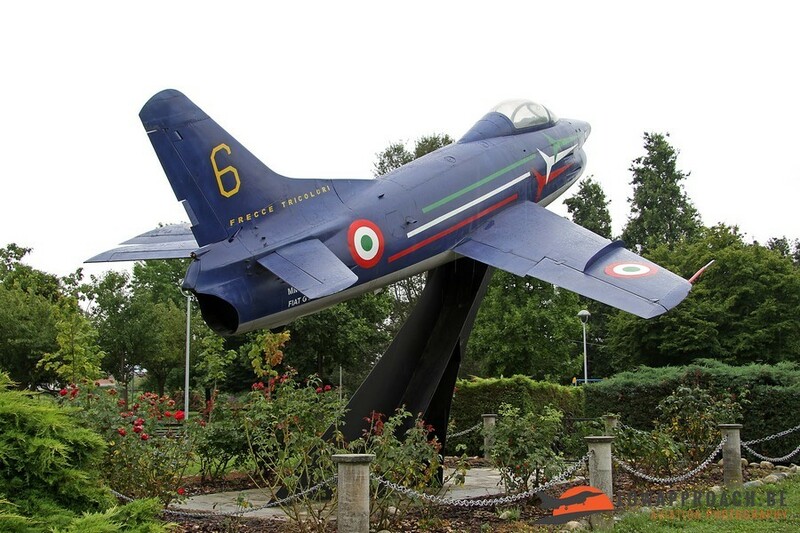 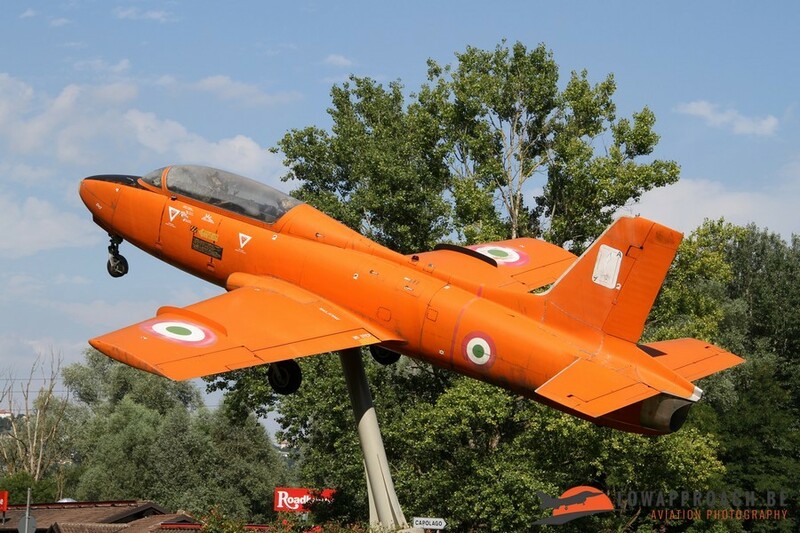 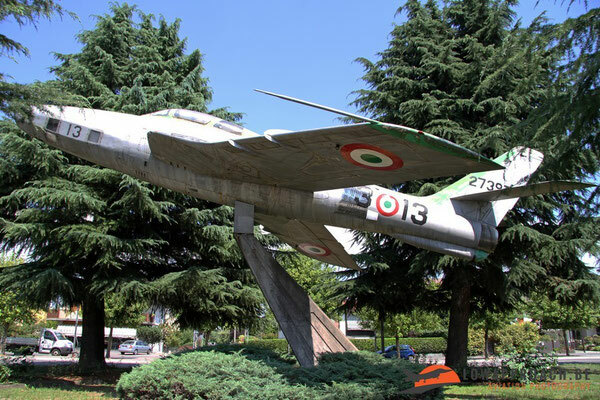 This team was part of 2° Aerobrigata based at Cameri, the aircraft is now preserved on a roundabout leading to the main entrance of Cameri Air Force Base. The two Republic RF84F Thunderflashes that I found are two located in two quite different spots. 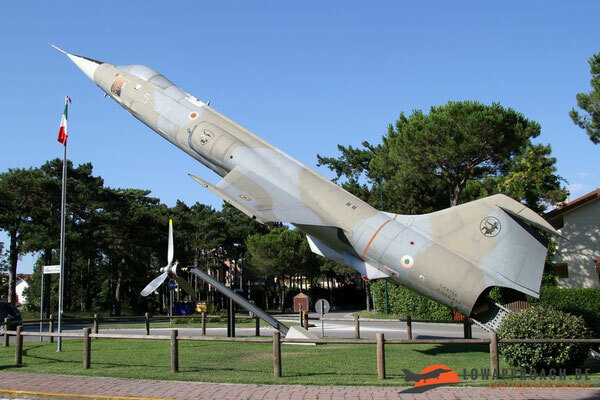 The first one has found a resting space on a square of the little village of Orzinuovi sheltered by some trees, the second one choose or more busier spot, next to a carting track close to the Adriatic Sea in Lido di Jesolo, north of Venice. To finish this article I have a few more uncommon aircraft that are preserved. During my trips I only found three helicopters. 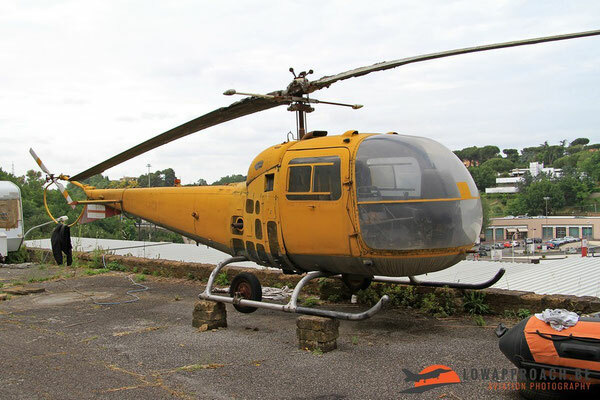 Two Agusta-Bell AB47Js in Rome and Paese (near Istrana), unfortunately both of these need some care, as neither of them are in great condition at this moment. 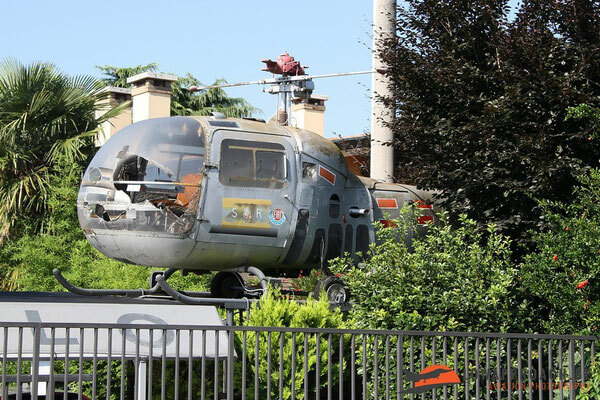 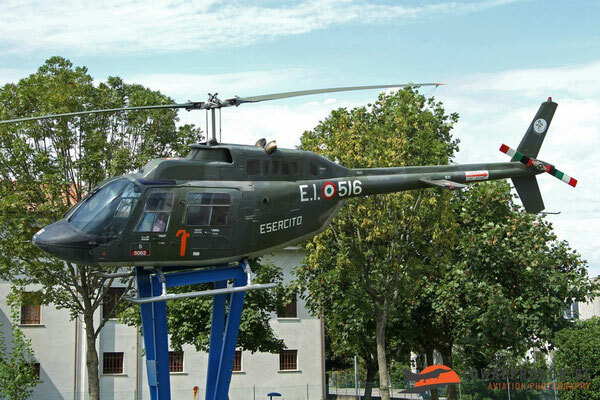 This is a big contract to the third helicopter, a Agusta-Bell AB206A Jet Ranger, that is preserved in Casarsa della Delizia. The proximity of the base of the Esercito, the Italian Army Aviation, is certainly no coincidence to this. 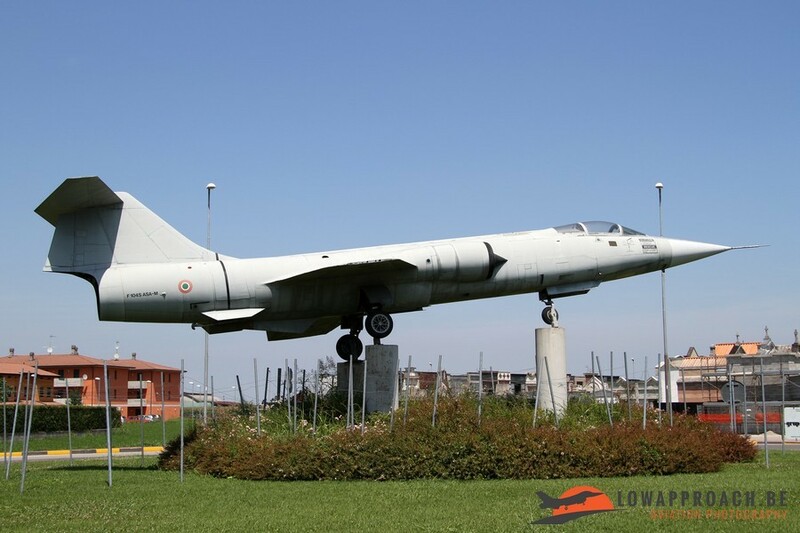 The last aircraft I saw were a couple Piaggio P166s, one in Cassano Magnano, next to the F104 Starfighter and the second one in Trevignano-Romano on the other side of Lago Bracciano where the museum of Vigna di Valle is located. Photographing the aircraft mentioned in this article is as such not problem, all are located in public areas. Only for the aircraft Cassano Magnano there you need to pay a little attention. These are located next to a farm who operates a Bed&Breakfast, and you have to make sure that you visit the place when the B&B is open, and yes they have days that it's closed. 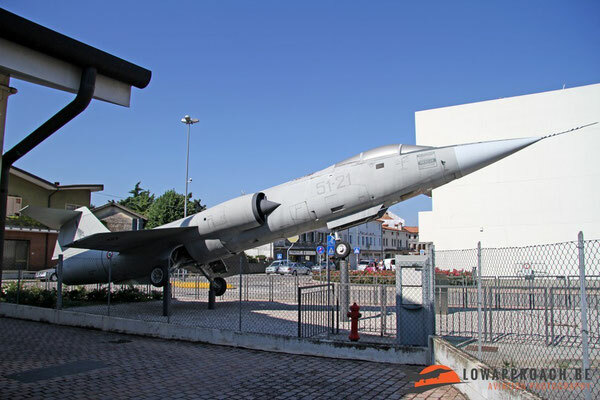 While making the trips I virtually always used the small roads, and this results in that you discover items that you didn't plan, as I had in a few occasions. I admit that the title 'wrecks and relics' was a bit wrong, as none of them are real 'wrecks', as Italy really takes of its aviation history, something that we can only congratulate them for, and something that many other countries, like Belgium, can take some lessons from !